The son of German-Korean parents, Song Choi studied with Michinori Bunya and Christoph Schmidt among others. During his studies he worked with the orchestra of Staatstheater Wiesbaden. Since 1999 he is a member of the Sinfonieorchester Vorarlberg in Bregenz and principal bass of the Sinfonietta Bodensee-Oberschwaben. Since 2013 he is a member of the orchestra of the Ludwigsburger Schlossfestspiele. Already as a student, Song Choi taught music education students at the Musikhochschule Mannheim. Since then and until this day, teaching double bassists of all age groups is the centre of his work. 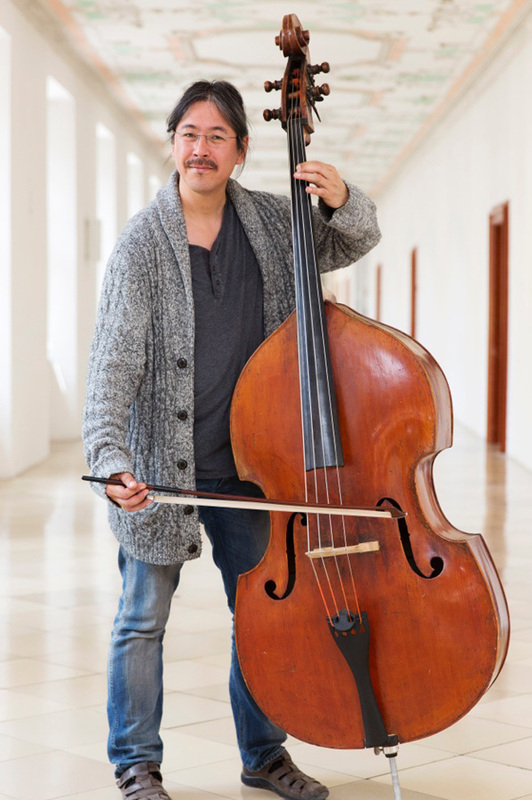 He teaches double bass at music schools in Germany and Austria, while lecturing subjects such as teaching method, subject didactics and teaching practice at the music colleges in Stuttgart, Freiburg, Frankfurt and the Universität Mozarteum Salzburg. He also teaches the pre-college students in Stuttgart and Salzburg. Copyright © 2018 Internationale J.M. Sperger Gesellschaft.